A few years after 9/11, I began to make the point – in columns, books and of television – that the threat from al-Qaeda had diminished substantially. Al-Qaeda had flourished in an age when governments regarded it as a sporadic annoyance rather than a major national security challenge. After 9/11, governments around the world began collaborating to track its people, stop its money flows, and eliminate it camps. Once that process was underway, al-Qaeda found it much harder to operate under the radar screen and plot its mayhem. 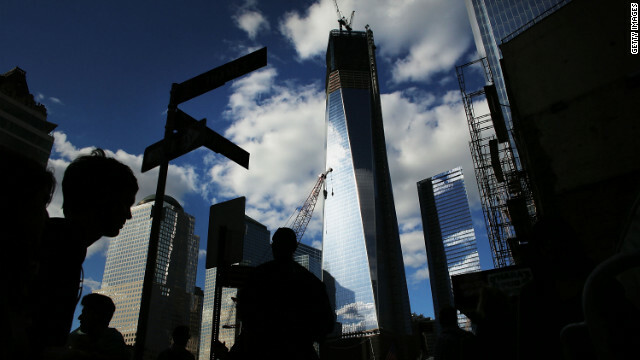 Today, 11 years after 9/11, it is clearer than ever that al-Qaeda is a shadow of its former self. So much so that there may now be a danger of complacency. Serious experts and scholars, like Bruce Riedel, argue that al-Qaeda has been able to reconstitute itself in places like Yemen, Somalia, and even Mali. The Pakistani connection remains strong. And the growing chaos in Syria has presented the group with an opportunity to make inroads there as well. These are all worrying signs and naturally one hopes that the U.S. government, as well as others, are battling al-Qaeda wherever they can. Yesterday saw news that the second-in-command of al-Qaeda in Yemen was killed by government forces. The drone attacks in Afghanistan and Pakistan continue. But these signs of life from al-Qaeda do not change the central reality of its diminished potency. The danger of al-Qaeda was always about more than scattered violence in far off places across the globe. Al-Qaeda was viewed as a mortal threat to the United States and much of the civilized world because it could have become the symbol of protest of Muslims around the world against regimes they hated and a world order dominated by the West. It seemed to tap into the frustration and resentment of millions in the Muslim world. But two things happened along the way to a global jihad. First, as governments became more alert, al-Qaeda found it much harder to attack military and diplomatic targets – embassies, ships, national monuments – and it began to attack whatever it could. That meant it was targeting cafes and railway stations and killing locals not foreigners. Soon, it was losing support among the locals from Indonesia to Jordan to Saudi Arabia. The second, perhaps more important, shift has been the Arab Spring. As governments in the Arab world are influenced or even run by Muslim fundamentalist groups – in Tunisia and Egypt – al-Qaeda becomes an even more marginal and extreme movement. It is difficult for al-Qaeda to rant and rail against the government of Egypt when it is no longer a secular, military dictatorship but a democracy with a member of the Muslim Brotherhood at its helm. The ideological struggle was always at the heart of al-Qaeda’s appeal and that struggle is dying as Arab countries open themselves up and include Islamists within their politics. This doesn’t mean the end of discontent, violence, or terror. It just means that the attacks don’t portend a larger and unending global struggle. Maoists guerrillas kept fighting long after Mao died, they just didn’t scare people so much anymore. Alas, as Harvard’s Graham Allison has pointed out, none of this changes the grim reality that a handful of people, with small amounts of cash, can cause death and destruction on a vast scale in today’s world. We can battle bad ideas, but it is impossible to battle the march of technology. « Previous entryIs the Republican Party too angry to win? America recruits more al Quaeda on a daily basis. USA hires terrorist to destabilize the Middle East and divide the people. Alright look... this page isnt far off but it shows a lot of work and research in some departments... I myself have served in Afghanistan, a single tour ive seen what they are capable of... its nothing to josh about... everyday we lose more and more men and i lose friends day in and day out because of the Alqaeda... Egypt, Lybia, Yemen, Tunisia, Sudan, and Afghanistan,... all of these places are under Alqaeda's control... American flags are being burned all over that area... mainly becasue they are muslim comunities that no longer favor us... that is their wish but before long... we will have world war 3 on our hands! Which will indeed cause only more dept and more death.. more hate and more suffering among more than just one nation, but many! I understand where many of you come from but the main question is... what will you do to help confront this evil that has been attacking us nonstop for nigh on 11 years? i see so many people say they hate alqaeda yet u sit in your homes and do nothing while military powers in america and the family members go through loses... we are dying over seas! we aim for something that is called world peace!... well we are far from it right now.. the middle east is practically alqaeda territory... we are in a few countries... y cuz its all we can do... this force is stronger than we thought and now Germany, and Britain are suffering! ... a british base was attacked recently, and germany's embassy was attacked! we fight for a cause... help fight for that cause or the american dream will never become a reality! Thank you! the worlds cold enough... i fight to protect not to kill... id die for anyone other than myself... what would you fight and die for? Excellent content and well-written stylistically. Farreed is highly educated, as objective as any person could be expected to be, and commands a deep understanding of the Arab world and the Islamist thinking as well as a more general knowledge of politics.